The results of the 2018 Old Mutual Trophy Wine Show were announced at a luncheon at the Mount Nelson on Tuesday, 29 May. 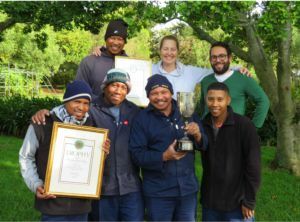 Being awarded the Grande Roche Trophy for The Best White Blend, scooping a gold medal, and being ranked within the Top 5 Producers overall, Backsberg Estate Cellars truly shone. The Old Mutual Trophy Wine Show is one of the most rigorous competitions within the South African context; incorporating blind tastings, several days of panel discussions and on-site winery inspections. This year’s judging panel included the likes of Isa Bal, Charles Chevallier, Debra Meiburg, Narina Cloete, Heidi Duminy, Christian Eedes, Alexandra McFarlane, Nkulu Mkhwanazi, and James Pietersen; all noteworthy names within the World of Wine. Industry expert Michael Fridjhon chaired the event. 977 wines underwent the careful scrutiny of the judging panel with 40 gold medals and 23 trophies being awarded. 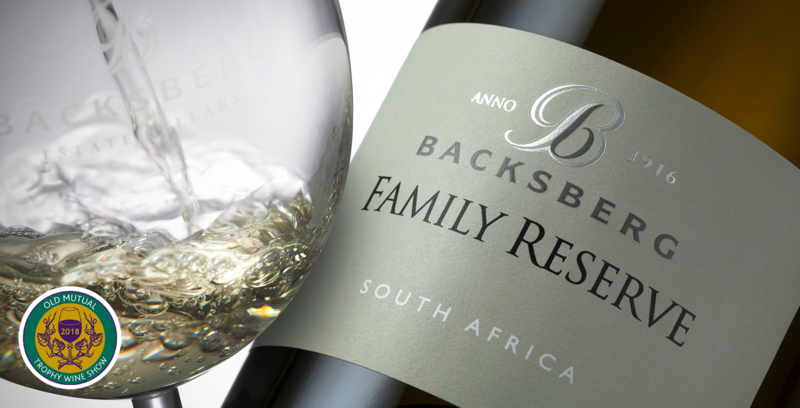 Backsberg’s Family Reserve White 2017, a blend of Roussanne, Sauvignon Blanc and Chardonnay proved to be a truly winning formula bringing home the Grande Roche Trophy for the Best White Blend. It also ranked within the Top 10 White Wines overall. To achieve a trophy the wine needs to be ranked as the highest-scoring gold medal winner in the class and that’s exactly what this wine accomplished. Only grapes with intense flavour were selected for this award-winning wine. Each cultivar is fermented on the lees in isolation in new French oak barrels for approximately six months. The very best blend is then created and bottled. One can expect an exuberant medley of coconut, peach and aniseed on the nose combined with notes of vanilla on the palate and a creamy long-lasting finish. Backsberg did not stop there, going on to achieve a gold medal for the spicy Pumphouse Shiraz 2016 and Fourth Top Producer overall. “We couldn’t be prouder of Alicia Rechner, our winemaker, Talitha Venter, our viticulturist and the whole Backsberg team for this one. To be in the top 5 producers at the Old Mutual Awards is quite something,” says Simon Back – fourth generation owner and company CEO. Backsberg’s award-winners will be available for public tasting as part of the Old Mutual Roadshow on Wednesday, 13 June at the Cape Town International Convention Centre (17h00 – 21h00) and on Friday, 15 June in Johannesburg at the Sandton Convention Centre whereby patrons will be able to order via Makro’s pop-up stores. Tickets are available via Computicket at a cost of R200 per person. Alternatively, avoid the crowds and purchase them online here. Stocks are limited.